If you love a good story, then look no further. Oxford Children's Classics bring together the most unforgettable stories ever told. They're books to treasure and return to again and again. 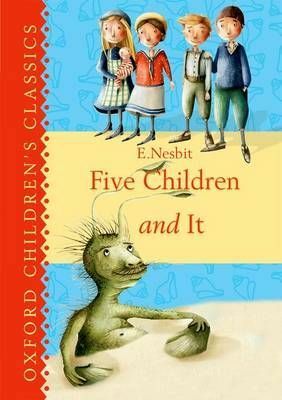 When five children go exploring in the gravel pit they never expect to find 'It' ...a Psammead who can grant them one wish per day. But this grumpy old Sand-fairy has to be in the right mood to grant wishes, and as the children discover having your wishes come true may sound like fun, but can actually turn into a whole heap of trouble ...This charming tale is the latest addition to the Oxford Children's Classics series from the author of The Railway Children.